Change is often a good thing, and that's certainly true with the Honda Insight. The Insight is now in its third year of production, and it comes with many noticeable improvements over past model years. The Insight features a beautifully sculpted exterior, a variety of enticing color options, an interior that rivals any luxury sedan with premium seat fabric, modern technology, and an overall smooth and comfortable ride. Another highlight of this year's Insight is that it is made with a hybrid engine that has a fuel economy surpassing others in its class. The three trim levels of the 2019 Insight are the LX, EX, and Touring. The LX turns heads from the start with 16-inch wheels and bright LED lights in the front and rear that can be switched from an automatic to a manual setting. Inside, the cabin features a driver information center on the dashboard with key data about the car's performance and vitals. Its entertainment system supports hands-free Bluetooth and Streaming Audio. 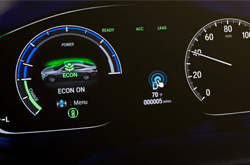 This technology is displayed on a standard seven-inch driver interface screen. A USB port in the front console keeps electronic devices charged for convenience. Whatever music you prefer, you can play your favorite tunes loud and clear with an audio system that features six speakers and 160W of power. A backup sensor helps you reverse safely in tough situations. In the second-level EX, you'll get these amenities along with a remote start. Apple CarPlay and Android Auto are standard features in this trim level. The sound system is noticeably more powerful in this trim level with eight speakers around the cabin and 180W of power. The touchscreen is slightly larger at eight inches rather than seven inches. Two USB ports are in the EX, and it has split-folding rear seats. With the premier Touring trim you will enjoy heated leather seats, a mobile hotspot, a leather-wrapped steering wheel, dual-zone climate control, side mirrors with LED turn signals, a 450W sound system with a subwoofer, and a power moonroof that tilts. This trim upgrades to larger 17-inch wheels, too. 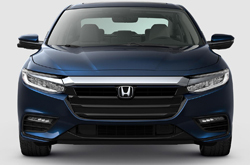 The Honda Insight's engine design is actually borrowed from the Accord, but modifications and technological advancements make the Insight's engine more fuel-efficient and powerful. The engine in the Insight is a 1.5L, four-cylinder, 16-valve engine that produces up to 107 HP and 99 LB-FT of torque. When combined with the power from the hybrid battery, the engine generates up to 129 HP and 197 LB-FT of torque for a total of 151 HP. The battery is a 1.1 kWh lithium-ion battery. Three driving modes (Normal, Sport, and EV) provide different but equally enjoyable driving experiences. The Insight is available in front-wheel drive. Safety in the Insight comes in the form of Honda's signature Sensing safety package, which offers intelligent and intuitive driver-assistance technology to keep you safe on the road. The package includes a collision avoidance emergency braking system, which applies the brakes if a collision with a pedestrian or another vehicle is imminent, road departure warning, which offers steering assistance to keep the car in its travel lane, radar-operated adaptive cruise control, lane-keep assistance that applies the brakes when the car goes off the road, and traffic sign recognition. Along with these standard features, parking sensors can be added to your Insight to help you see and avoid objects around the car. 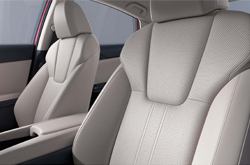 In case you do get into an accident, front and side airbags throughout the cabin are designed to keep occupants safe. Lastly, LED lights in the front and back make the Insight more visible to other drivers on the road. 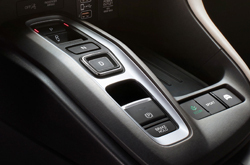 The 2019 Honda Insight seamlessly blends style and efficiency. 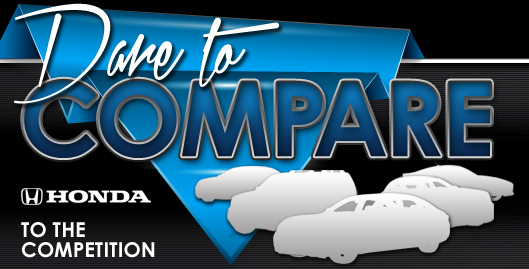 To take a test drive, visit Delray Honda today!